Delta took delivery of new jet lag reducing Airbus A350 planes this year, with private suites in business class and legitimately nice premium economy seats offering a lot more recline, legroom and features than economy. You can read about the experience here. The airline has relaunched an exciting sale, with round trip flights between U.S. gateways and China starting at just $720 round trip. You can jet off from Los Angeles, St. Louis, Orlando, Las Vegas and Austin, all under $900 round trip. The very best deals are available from now through the end of 2018. That means you’ll do best if you can fly in October, November or December. There are still great deals to be had in 2019, just not this low. A minimum stay doesn’t seem to be required, which gives these flight deals great flexibility. The key to these deals is ending up on an Airbus A350 for the long haul flight departing from Los Angeles or Detroit to Beijing or Shanghai. 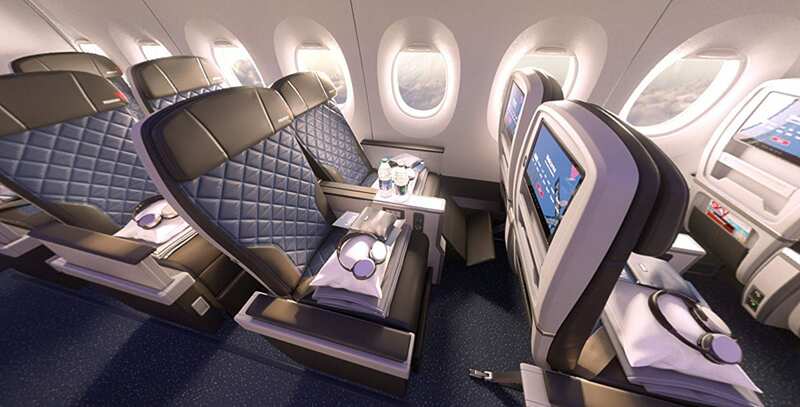 This is the only Delta plane where you can guarantee a true premium economy experience that’ll make a huge difference in your travel happiness. Here are all the best round trip deals to China, like: $722 Los Angeles to Shanghai, $822 Orlando to Beijing, $850 Las Vegas to Beijing $869 St. Louis to Beijing and $897 Austin to Beijing. Simply play with dates to find something that works for you, and make sure you end up on the A350. Previous ArticleA Magic Website To Save On Last Minute British Airways Flights?